On May 17th a new exhibition will be inaugurated at the Department of Drawings and Prints of the Uffizi Gallery. 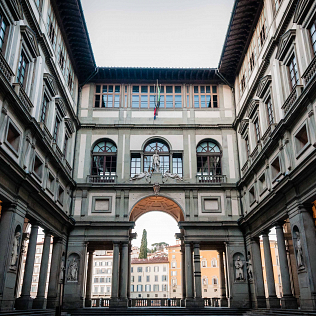 Each year, the Uffizi Department organizes very significant exposures, that are the result of studies and research that explore the creative process of the great artists. The new exhibition is entitled \"Looks on the twentieth century. Drawings by Italian artists between the wars\" and is curated by Marzia Faietti and Giorgio Marini. Researchers have selected thirty-seven works - drawings and prints - many of which have never been exhibited to the public. The works date from the first 30 years of the \'900 and they arrived at the Uffizi between 2004 and 2015, through donations and purchases. Among the selected authors there are Jacques Villon, Alberto Giacometti, Anders Zorn, Ram and Thayat Costetti Giovanni, Giuseppe Lunardi, Pietro Bugiani, Kurt Craemer, Primo Conti, Giuseppe Lanza del Vasto, Marino Marini. Their works show the complexity of the period in which they were produced: the years in which totalitarianism was born and prepared the ground for the Second World War. Drawings and prints depict figures, faces and portraits that - with their expressiveness - create a relationship with the viewer, in a very interesting psychological and artistic game . The exhibition will run until 4 September 2016.